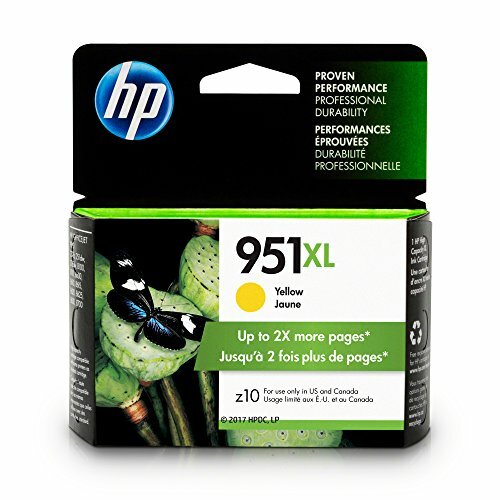 Rely on the HP 951XL Yellow Officejet Ink Cartridge for professional color for up to 50% less cost per page compared with laser printers. This high-capacity cartridge will yield more than two times the pages of a standard HP 951 cartridge. Print documents and marketing materials with vibrant color that stands up to highlighter pens and water, and resists fading over time. Individual cartridges allow you to replace only the color that runs out, saving you money.